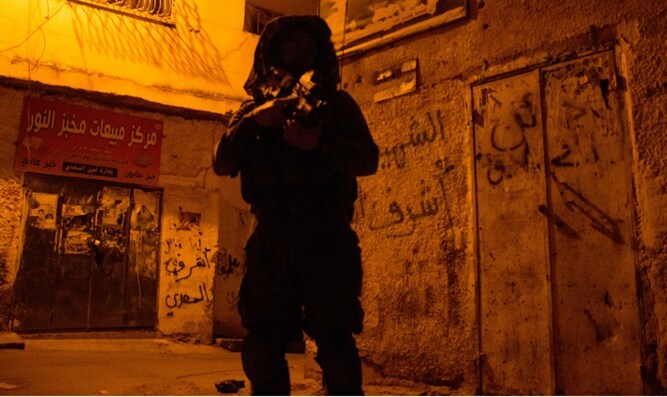 19-year-old Israeli Bedouin women nabbed while planning terror attack in Israel. Terrorists suspected of working for ISIS terror group. Israeli police released footage Monday afternoon of the arrest of two Israeli Bedouin women suspected of planning terror attacks against Israeli Jews on behalf of the ISIS terrorist organization. Rahma al-Assad and Tasnin al-Assad, both 19-year-old Israeli citizens from the Negev and members of the Bedouin community, were arrested in December near the town of Lakiya in southern Israel. Footage of the arrest, which was conducted jointly by the Shin Bet internal security agency and Border Police officers, was released Monday, hours after military censors cleared the story for publication. After their arrests, the two terrorists were brought in for questioning, and admitted to planning a terror attack against Israeli Jews. According to investigators, the two contacted ISIS terrorists abroad, and received instructions on how to prepare for the attack.